Nothing is more delightful for a car owner than a flawless shiny look of his vehicle. If it only would possible to keep the surface of the car vibrant and glossy every day, the morning would certainly start with a smile. Pollutions, environmental issues, risks on the road, and simply time often does not let this fantasy become a reality. The car experts offer different types of a car paint protection that may help to resist all these damaging factors. In recent years ceramic coating became the number one choice of car owners. You probably wonder car protection is it worth it? Let’s see what it can really do for your car. Paint protection is a seal for the car paint that protects the surface of the vehicle from light scratches and harmful chemicals. The car professionals remove the wax and then apply the coating directly on the paint. The procedure can be done to a new car to prevent the future damages or to a previously used vehicle to refresh the look. The prior paint correction might be sometimes recommended by the car specialists. The minor surface defects should also be removed as the coating bond with the surface. The ceramic coating is an innovative and superior type of paint protection that involves nanotechnologies. It forms a thick layer on the car surface that becomes a shield from minor damages and scratches. What are the advantages of ceramic coating? A ceramic coating is considered to be the best car paint protection option. Except for a shiny look, it gives to the car, there are other benefits. It provides the protection against bird droppings, dust, and mud. The dirt simply beads up and rolls off the surface. A nano coating also blocks the UV rays and protects the car against the temperature differences caused by weather or the engine. It prevents the paint from discoloring and aging. The contaminants and chemicals are no longer a threat to the car surface covered with a ceramic coating. With this shield, the contacts with water are less harmful to the metal and you may not be afraid of erosion. 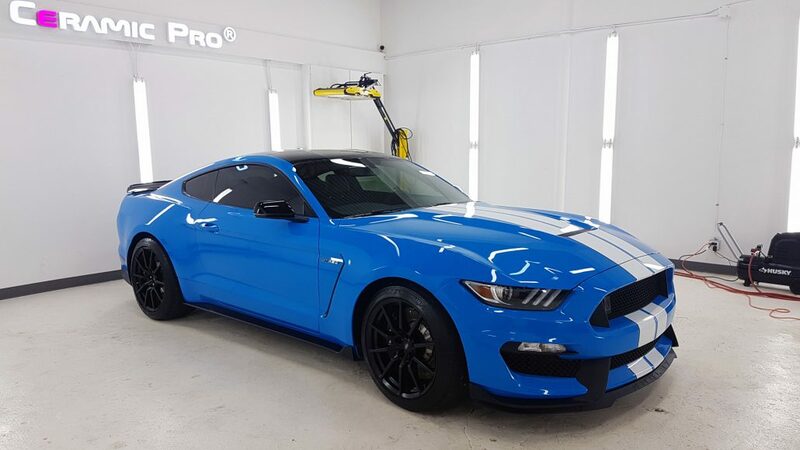 The advantages of this new car paint protection are impressive but it is important to know for how long it is possible to enjoy them. Everything depends on the number of layers. The duration may vary from twenty-four months to a lifetime. Consulting the car experts will help you to choose the level of protection you need. The price is also different depending on the service package and the number of additional layers. Permanent protection is possible and considered to be a wise investment. Another option is to try ceramic coating for a while and test its work. The choice is up to you but there are no limits in protection lasting. Car Protection Is It Worth It? While it is not cheap, a car paint protection is meant to save the car owner’s time and money. The car maintenance becomes easier thanks to resisting the dirt and bird drops. The cleaning will not be necessary to be done so often. The coloring and gloss will last longer. There is no need to worry about scratches and repair the surface. All this proves that the car owner surely will spend less money on the car maintenance using ceramic protection. Are there cases when it is not worth it? The ceramic coating will not be that magical if it is applied by amateurs. The swirl marks and scratches are the common results of the incorrect application. Ensure that you deal with a reputable car detailing service to make a car paint protection a worthwhile investment. Does new car need paint protection? Finance your paint protection project! New Shop Opening is Coming Soon!